KUALA LUMPUR, 6 July 2017 – Asia’s foremost Leadership Energy conference is back. The 5th annual Leadership Energy Summit Asia (www.iclif.org/lesa) hosted by the Iclif Leadership and Governance Centre, gathers top industry specialists, subject matter experts and game changers to help today’s leaders face the challenges of the increasingly fast-paced and uber-connected 21stCentury. To this effect, the theme of the 2017 event, Open Source Leadership, will seek to explore and expand on what it takes to be a transformative leader in the 21st century; how leaders must reinvent themselves to thrive in a connected, transparent and disruptive environment; and how technological empowerment has transformed companies into open-source organisations. The answers to these questions lie in a deeper understanding of leadership – and leadership energy – that 2017 LESA aims to address. “LESA is Asia’s foremost annual leadership conference that will bring together courageous leaders, high-profile business personalities, and cutting-edge entrepreneurs to confound conventional thinking and explore the real source of transformative leadership. We have secured an impressive panel of speakers and we look forward to the support of our partners, who will work with us to once again deliver an experience par excellence,” said Tan Sri Dr. Zeti Akhtar Aziz, Chairman of Iclif. Rajeev Peshawaria, CEO of Iclif, said that the speakers were selected in line with the theme but also to ensure that the sessions seamlessly integrate content that covers a global perspective, as well as offer Asian insights to participants. “We must consider the uber-connected environment of today as well as the increasing number of sophisticated young talent that do not think, act, perceive, strategise or make decisions like their parents did; where business-as-usual is a thing of the past. Iclif strongly believes that true leadership energy creates transformative change for business and society. The $80 billion annual spend on the leadership development industry must upgrade its offerings to remain relevant,” Rajeev said. 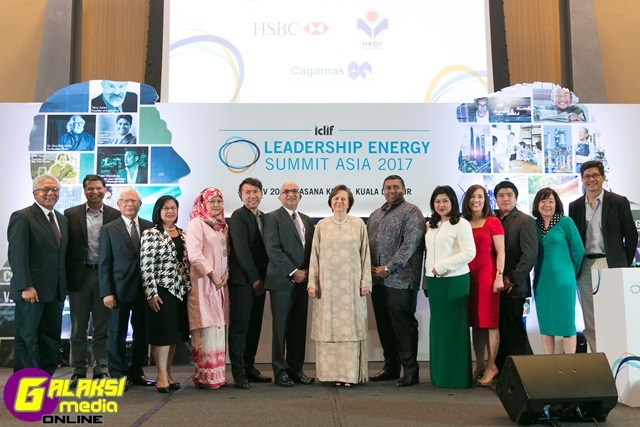 The Summit has also been the platform to announce the recipients of the Iclif Leadership Energy Awards (ILEA). ILEA, currently in its 3rd instalment, recognises leaders in the region who use their strong conviction in a set of deeply held values and a clear sense of purpose to overcome insurmountable obstacles, thus creating a better future for their community or organisation. Nominations for ILEA can be submitted online through the Iclif website (www.iclif.org/ilea) before 31 July 2017 in any of the three categories – Corporate Employee, Business Owner/ Founder and Social Enterprise Owner/Founder. The 2017 LESA will see the return of HSBC Bank Malaysia as Platinum Sponsor. They are joined for the first time by Human Resources Development Fund (HRDF), also as a Platinum Sponsor. Cagamas Berhad also returns as Associate Sponsor. More sponsors will be announced in the coming months. Leaderdship Energy Summit Asia is 100 per cent HRDF claimable. ← (HIBURAN) Buat Perdana Kalinya, DNCE LIVE IN KUALA LUMPUR!